If you have committed a theft or burglary in the state of Colorado, you will soon learn that it is no minor offense. Charges range from class 3 misdemeanors to class 3 felonies. Whether your intention was to harm anyone in the process of your theft or burglary or not, if you have a deadly weapon on you during the execution of the theft or burglary, it will be assumed you had intentions to hurt the people present or anyone that may have presented themselves throughout the process. It is important to stay well informed and on top of the procedures you are expected to complete throughout a theft or burglary charge. Without the help of a professional attorney, you may not receive the best possible outcome. Jarrett Benson Law has been provided their services for over a decade, ensuring that families and individuals receive the lowest possible charges for their crimes. 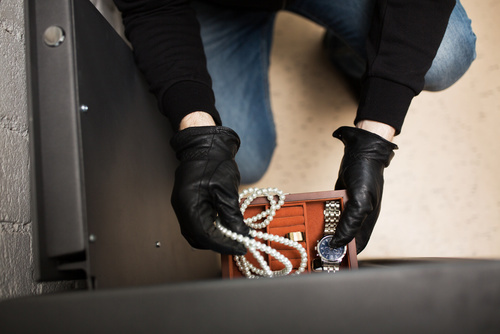 The charges and options vary in the state of Colorado when it comes to theft and burglary. For starters, robbery is broken into two main categories – simple robbery and aggravated/armed robbery. Simple robbery is a robbery that only utilizes threats or intimidation to deprive someone of their property or goods. Aggravated, or armed, robbery is robbery that involves a deadly weapon in the process of depriving someone of their property or goods. Charges and penalties mainly depend on the type of robbery committed, and the value of the property or goods that were stolen. Charges will also vary on the degree of burglary committed. First-degree burglary consists of illegally entering a building to commit a crime against the occupants of the property and being armed with a deadly weapon and/or threatening or harming anyone in the process. In general, a first-degree burglary is a Class 3 felony, unless a controlled substance was stolen (or intended to be stolen), in which case it may be charged as a Class 2 felony. Second-degree burglary involves all of the elements of a first-degree burglary except without a deadly weapon, threats or harm being done to anyone else. Second-degree burglary is usually a Class 4 felony in Colorado, unless a controlled substance was stolen (or intended to be stolen), in which case it may be a Class 3 felony. Lastly, third-degree burglary, which occurs when a person breaks into a locked container intending to commit a crime, is often classified as a Class 5 felony. Third-degree burglary may be filed as a Class 4 felony if the alleged offense involved stealing a controlled substance, or intended to do so. If you need help with a theft or burglary charge, call the Law Offices of Jarrett J. Benson today.